So, it was a week or so before Christmas. 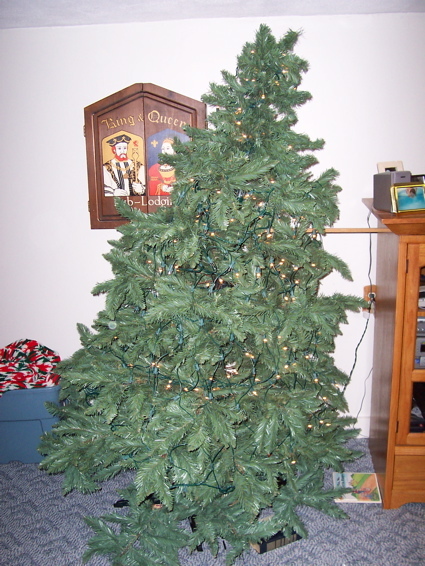 We got the tree up, and started to move it. Somehow, the legs were broken. So we have a tree wanting to fall over. So I grab a piece of wood. 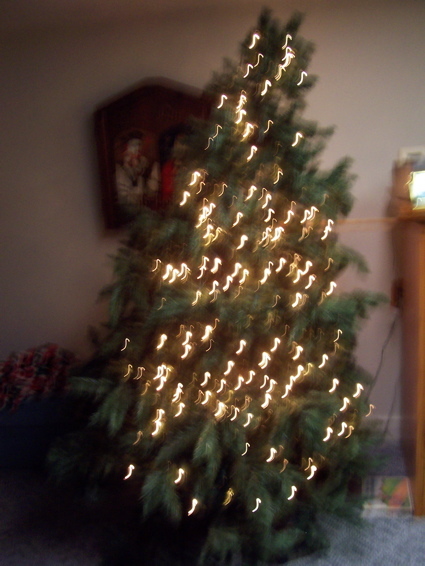 And now we have the retarded tree. 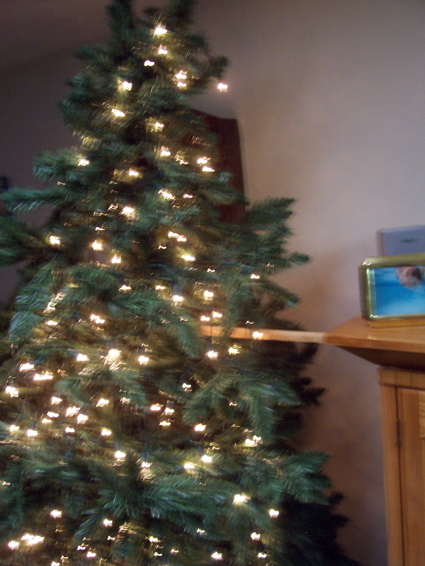 Eventually we did solve the problem with a real tree stand, but the retarded tree will remain in our hearts forever.